If you've been around these pages at all, you're well aware my husband and I are raising children-two of them. 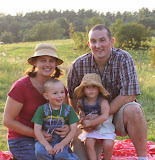 While I could write you a detailed discourse as to why I choose to raise them living this homesteading life, I think this series of pictures sums up the reasons behind our choices perfectly. These were taken before the snow in late fall, but have not been shared before. Welcome to serenity, also known as home. We're thankful our peaceful home is on this farm. But truth be told, we'd find the pace, togetherness and rhythm of being home and living the homesteading life wherever we lived. Animals or no animals, it's not where you live, it's how you spend your time. 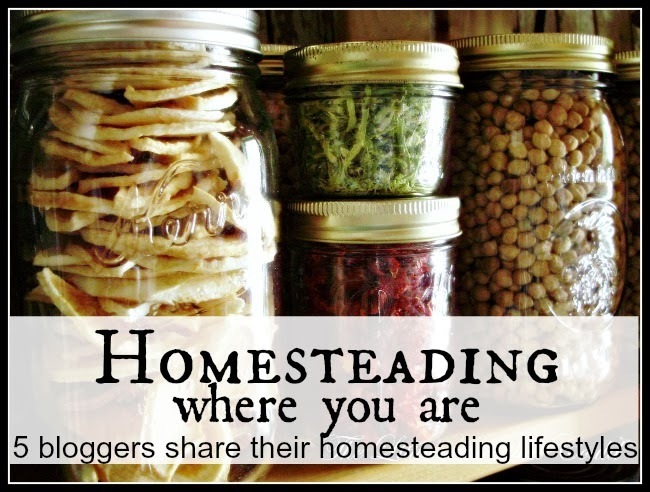 There's so many gifts of being raised a homesteader. Join in and discover for yourself. Want to get inspired? Click on these links and you will, I promise. Those are some lucky babies. Enjoy your day! Jackie, your participation in the "Homesteading Where You Are" series has been a great part of the series. It is great to see the different perspectives on the same subject. I too started life in a rural setting and have many fond memories stored away. In my humble opinion there's no better way to raise kids. It's gives them a perspective on life that will guide them through their tough journey. Thank you so much for your views on this weeks topic. Have a great raising day. The photos with chickens and goats are my favorite :) But they are all wonderful. I think raising children on a homestead or farm is a great way for them to grow up. I often wish that I grew up on a farm instead of the city! I love the way you raise your kids with animals. We want to get a goat or two and some chickens this year. I think I grew up with the same kind of goats you show here (except they weren't so furry! ), and would like to get that kind again. What are they called? 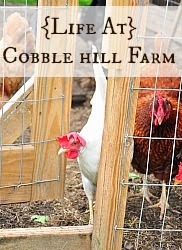 Oh how fun you'll be adding animals to your homestead! These are Nigerian Dwarfs. They're a great size, only eat about a half of a bale of hay a week and although the ones we have are male, we've milk from the breed and it's delicious! Getting a pair of them would be ideal, as they like a pal around. Sounds like you have an exciting year ahead.